Mountaineering or mountain climbing is the sport, hobby or profession of hiking and trekking mountains. The “Base Camp” of a mountain is an area used for staging an attempt at the summit. Base camps are positioned to be safe from the harsher conditions above. 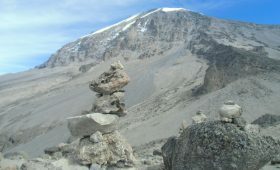 In Mount Kilimanjaro, Moshi and Arusha are used as a base for all climbing Kilimanjaro trips. How ever, climbing Kilimanjaro to the top you pass through one of 6 official routes designated by Mount Kilimanjaro national park authority. These routes are well surveyed and are safe, with all security and approved. 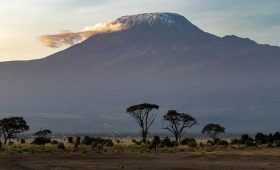 These Kilimanjaro climbing routes have been used for years without problems. 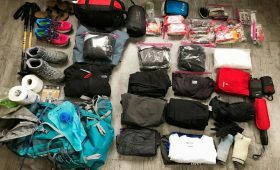 Santiam Alpine Club – A free, online, mountaineering education resource. Mountain Mart Treks and Expeditions – Adventure trekking in Nepal with local trekking agency www.Summitclimb.com and www.SummitTrek.com , 20 years of offering climbs to the top of Everest and nearby mountains, as well as walks to Everest base camp, and many beautiful trails, for men and women of all ages. We also offer Everest training climbs, glacier schools, and charity service walks. Welcome to our team! Exchange and trade links backlinks inbound links on MyLinkMarket.com. Sign up and begin to free trading with other websites on MyLinkMarket.com – it is super easy to use super free and super smart. It will save you hours of hard labor! These routes begin at the lowest designated point, well established and used also as registration point by Tanzania National parks authority. In each routes, there is a camp or Mountain hut constructed after reasonable altitude and km so that climbers will rest, prepare food and overnight. In Mount Kilimanjaro, there are features of avalanches or falling rocks, it is not very steep hence no complicated equipments needed or no training needed and also no training required. Since tourists, travelers and climbers come from different weather or climate, acclimatization is important so that climbers avoid altitude sickness. When climber gets altitude sickness, he can not continue climbing. For planning mountain climbing, acclimatization is considered and enough time arranged. Contact Kilimanjaro Tanzanite Safaris Ltd for professional advice and current information on Mount Kilimanjaro climbing, travel tips. After kilimanjaro climbing tour, travelers can extend their vacation holiday with beach holiday or tanzania safaris for wildlife viewing tour. Kilimanjaro trekking adventures is recommended through machame route, rongai route or lemosho route. Tanzania safaris is a journey to national parks, game reserves and conservation area for wildlife viewing tours. Wildebeest migration tanzania safari is mainly done in serengeti national park and tourists are advised to add ngorongoro conservation area which is nearby. Beach holiday is an option for leisure tour to explore tropical coastal and islands. Top beach tourist destinations are islands like zanzibar, mafia. Zanzibar beach hotels, zanzibar beach resorts, mafia island lodges, mafia beach resorts offer best diving and snorkeling in Tanzania.